Quick Weight Loss, Is It Possible to Achieve? Many of us think that the way to quick weight loss is to starve oneself, but nutrition specialists beg to disagree. Choosing a weight loss plan that focuses on what you eat rather than how much you ingest makes more sense. 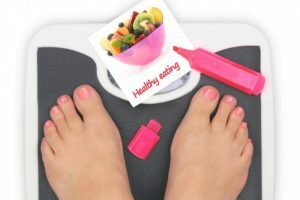 Calories counting and complicated weight loss plans might not be everyone’s thing and might not fit into your lifestyle. Even though human bodies are unique in their response to food and physical activities, the following tips seem to work for many dieters. For a good weight loss strategy, increasing the amount of high fiber nutritious food would make you feel full quickly while supplying your system with essential nutrients for healthy body functions. Make sure that you include in your daily diet brown rice and whole whet products, legumes and vegetables. Having a good a nutritionist breakfast would help your body start right in terms of energy needed for the whole day. Breakfast helps control your craving throughout the day and hence make better food choices. A good and healthy breakfast would include food high with fiber and good proteins to help you start your day and keep you feeling full till your next meal. Try whole wheat toast with some peanut butter, boiled eggs, whole grain cereal with fruit and skimmed or low fat yogurt. Your body needs the carbs as a source of energy. Choosing the right type and amount of carbs in your daily diet is very crucial and can determine your success in diet and quick weight loss. Forget white pasta, sugar, rice bread and cereals. These refined and processed food break down quickly and provide the body with glucose as a source of energy . beware that this type of carbs leave you craving for more. Having complex brown carbs on thither hand, provides your body with fiber and nutrients and they are slow to digest. With brown carbs you feel full for a longer time The best time to have your necessary carbs intake would be within the 90 minutes after you finish resistance routine of at least 20 minutes. You have probably read that before, but it can’t be emphasized enough; fatty acids aka Omega fatty acid and especially Omega 3 are essential for health. Omega 3 has been linked to cancer prevention, anti-inflammatory agent, promotes brain, heart and skin health. Taking fish oil supplement can suffice your body need for this valuable nutrients but yo can also get Omega three by eating salmon and tuna fish. Finally; weight loss is a journey that you need to learn how to enjoy. Do not complicate things and stick to the basics and focus on eating right.